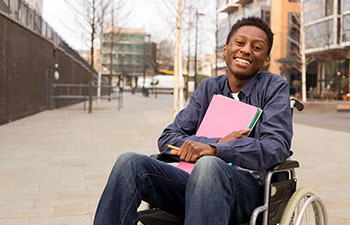 The purpose of RS3 is to provide an in depth examination of how a large health care system implements employer practices that impact the employment outcomes of individuals with disabilities. We have selected to study Bon Secours Health System, Inc. The system owns, manages, or joint ventures 19 acute-care hospitals, one psychiatric hospital, five nursing care facilities, four assisted living facilities, and 14 home care and hospice services with more than 22,000 employees on the East Coast. Over the past eight years, we have realized that the BSHSI network is highly effective in hiring and retaining people with disabilities. Research is needed to determine what employer practices are being used by BSHSI that results in these outcomes. Therefore our research will begin with the exploration and discovery stage of research. The proposed study will give us unprecedented access to all levels of management and staff to implement a detailed explanation of the employer practices in place. Next, the research will move to intervention development as a pilot study. This phase of research will be employer led intervention. HR management, assisted by VCU will assess whether the Phase I findings were valid and yield good preliminary data laying the groundwork for future intervention efficacy studies.